My friend wants contact number of offices of IDP IELTS located in India. So do you have any idea from where he will get contact numbers? 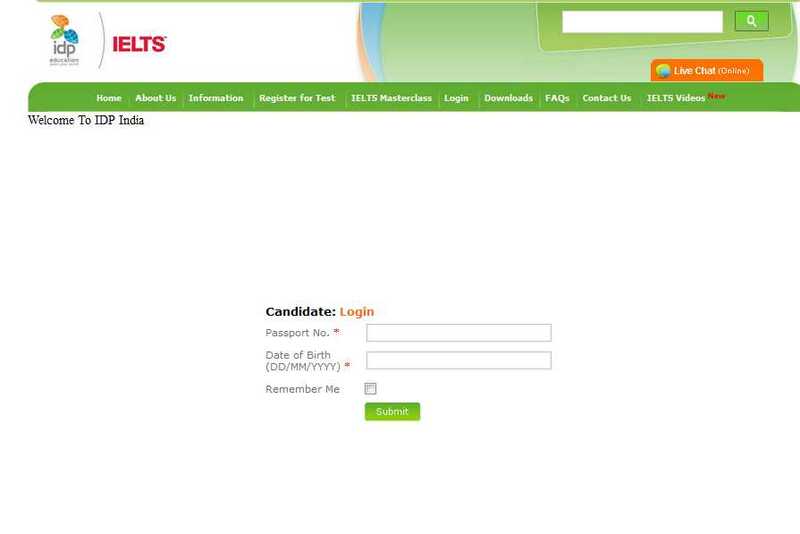 Also provide procedure for login for registered candidates of IDP IELTS? IELTS is the International English Language Testing System. IELTS is one of the pioneers of four skills English language testing for over 25 years ago. As you want to get procedure for login for registered candidates of IDP IELTS, so they should follow these steps for login. Firstly go on website of IDP IELTS. There will be a link for login in middle top of homepage. You will click on that link and get 3 options. Fill Passport Number and Date of Birth and click on submit button for login.